More B2B marketers are looking to influencer marketing to cut through the clutter with compelling and differentiated content. What is influencer marketing? In our latest Viewpoint, leading proponent Lee Odden, CEO of TopRank Marketing, explains that influencer marketing involves more than external, one-way communication. It is about engaging both internal and external industry experts who have active networks to co-create and share content for mutual benefit. In other words, the interaction should be as beneficial to the influencer as it is to you, your brand, and your customers. In this ITSMA Viewpoint, Lee discusses how marketers can employ influencer marketing to have an impact on both brand reputation and the bottom line at a time of tight budgets. As a bonus, Lee provides a number of examples that prove that B2B marketing does not have to be boring-to-boring. Why the surge in interest in influencers? While social media is a factor, Lee explains, the most important reason is that buyers want it. A recent survey showed that 78% of buyers strongly agreed that they are placing a higher emphasis on the trustworthiness of content source, with 65% having higher preferences for content from industry influencers. Lee cites the example of one software company that wanted to accelerate growth, strengthen its credibility, and increase its own influence. Its resulting, well-received influencer campaign beat its target by 500% and, even more importantly, three-quarters of the campaign content was created by the influencers rather than by the company itself. When looking to recruit influencers for their marketing programs, Lee describes what he calls the five P’s of being a B2B influencer. These include proficiency—they have to know their stuff—and popularity—they have an active network that pays attention to what they say. 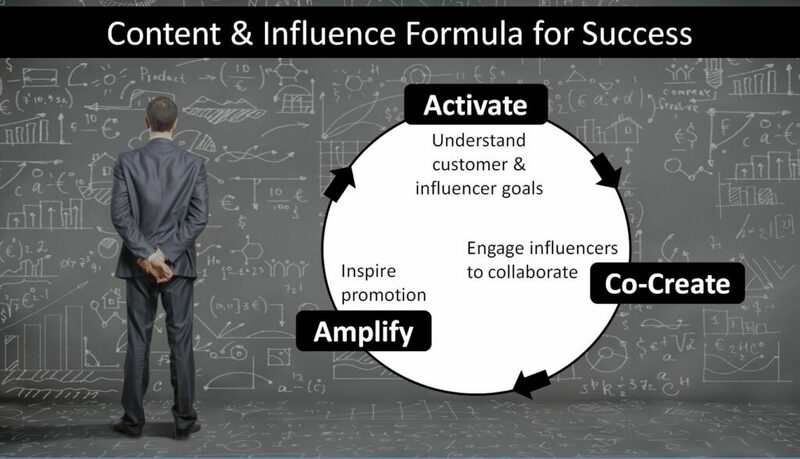 TopRank has put together a maturity model to help marketing organizations develop an influencer program based on its experience over the years. Consisting of five key stages, it shows how marketers can create an initiative that meets measurable business goals.